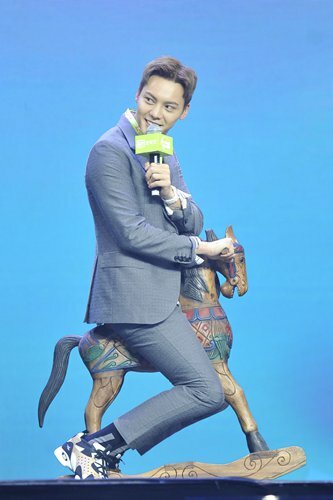 Chinese actor and singer William Chan attended a fan meet hosted by streaming site iQiyi in Beijing on Friday. As a spokesman for the site's VIP members, he interacted with fans and thanked them for standing with him and supporting him over the years. At the meeting, one 5-year-old fan, Mini, said that she had been following Chan for three years. According to her mother, thanks to Chan, Mini has acquired a love for singing and dancing. Clearly moved by the display of support from his fans, Chan told those in attendance, "many of you have stayed with me for three or four years. I always have you in my heart. I hope that you can continue to do what you think is right."